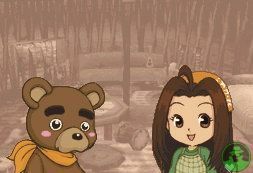 For the NDS entry in the series, Marvelous is bringing you back to Forget-Me-Not Valley, the world of the GameCube Harvest Moon: Wonderful Life game, while retaining the basic gameplay of the GBA titles. 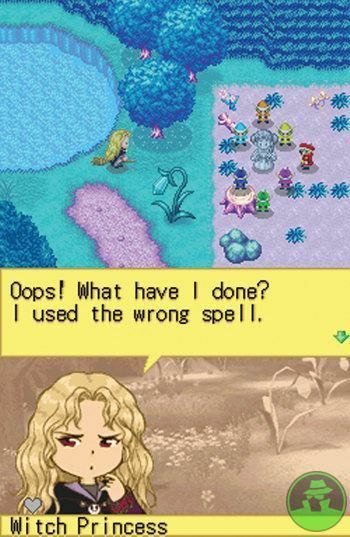 You once again play as a boy who’s taken over a farm. As you work on your farm, you’ll find yourself interacting with other members of your community. 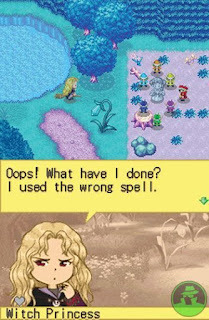 The NDS’s twin screens are put to full use in Harvest Moon DS. 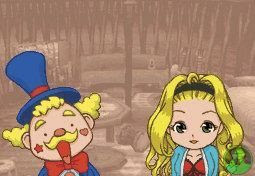 During gameplay sequences, the top screen displays the action while the bottom screen displays the menu screen and comments and hints from helpful sprite characters. Conversation sequences also make use of the twin screens. The overhead action remains on the top screen, with the bottom screen showing the text for the conversation and large shots of the people to whom you’re speaking. 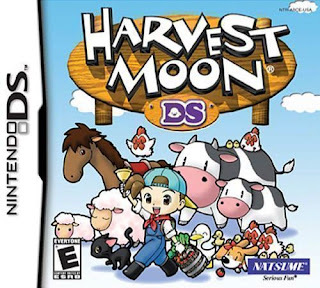 Raise Cows, Sheep, Chickens and Ducks; plant and grow a variety of crops and trees; new festivals, extensions, items and mini games; inserting your copy of Harvest Moon: Friends of Mineral Town or Harvest Moon: More Friends of Mineral Town into your Nintendo DS will unlock many surprises in Harvest Moon DS.